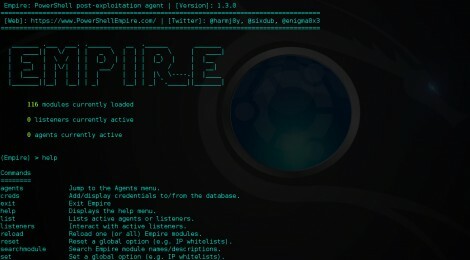 Browse: Home / Empire v1.3 released : PowerShell post-exploitation agent. Run the ./setup/install.sh script. This will install the few dependencies and run the ./setup/setup_database.py script. 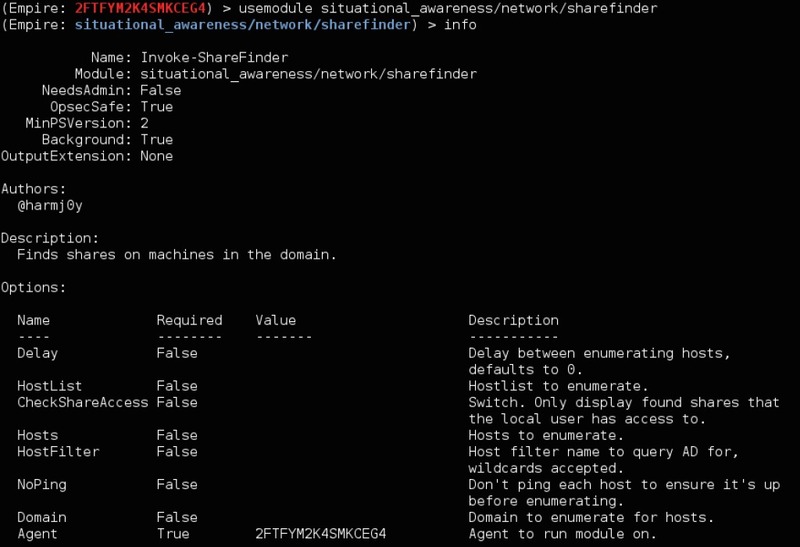 The setup_database.py file contains various setting that you can manually modify, and then initializes the ./data/empire.db backend database. No additional configuration should be needed- hopefully everything works out of the box. 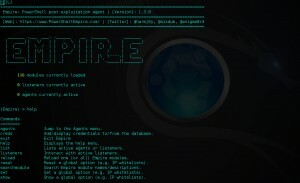 Running ./empire will start Empire, and ./empire –debug will generate a verbose debug log at ./empire.debug. 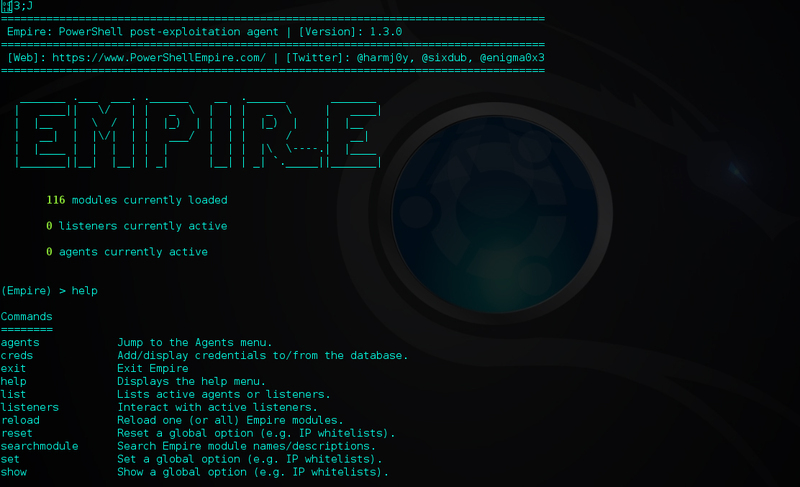 The included ./data/reset.sh will reset/reinitialize the database and launch Empire in debug mode. ← Joomla mass sqli exploiter.